Rusper is both the most northerly and the highest village in West Sussex. Rusper Village Stores is located in the centre of the village between The Plough & The Star public houses. Rusper Village Stores is owned by the Rusper Village Stores Association Ltd and is one of that rare breed of village shops owned by the community. 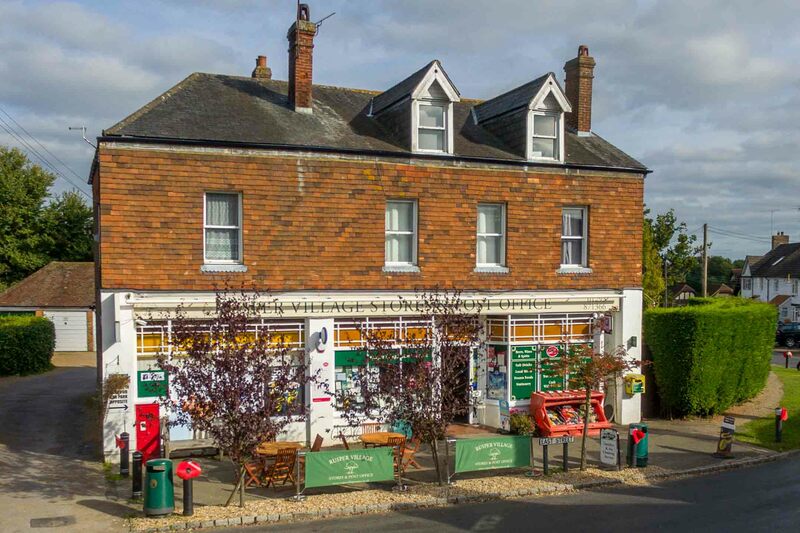 The Association was formed in 1999 in order to preserve the Village Shop & Post Office. It is thanks to local support since then that the Shop and Post Office are today able to offer such a diverse range of products & services. Please read the following pages to see just some of the products and services now available. There are many more than most people realise. We are open every day except Christmas Day and you can park outside or opposite in The Star car park. Of course you can also visit on foot, by bike or even horse, not really options at the big supermarkets! We look forward to seeing you as customers in the coming months and years and can assure you of a warm welcome.